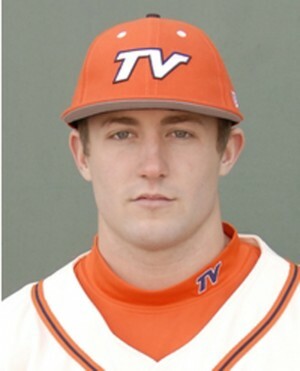 Sophomore, Cory Holm, a baseball player at Treasure Valley Community College, was injured during game one of the Chuckar World Series on October 26. Holm suffers from two fractured vertabrae after running into the right center field wall in the ninth inning. Game two of the series was suspended to allow time for the players to show their respect. Holm went through extensive surgery and is currently in the intensive care unit at St.Alphonsus Hospital here in Boise. To check in on how Holm is doing, there has been a Caring Bridge account set up for him online. The site is updated on a regular basis sharing his progress with everyone. Feel free to leave an inspirational note for both Holm and his family! The Treasure Valley community has shown their love and support by putting on various fundraising events throughout the surrounding area’s to raise money for the Holm family in this time of need. The first fundraiser was influenced by Holm and his new post surgery hairstyle, the buzz cut. The Buzz-Cut-A-Palooza was held November 13 at John J. Easly Gymnasium. The charge was fifty dollars per buzz cut and there were other items such as t-shirts and beanies for sale as well. Today, November 29, there will be another fundraiser at various Pizza Hut locations across the Treasure Valley. From 12:00PM – 8:00PM twenty percent of the net sales will be donated to the Cory Holm Benefit Fund. Call or visit ANY of the Southern Idaho or Ontario Pizza Hut locations to help make a difference, you can also order online with the coupon code “CORY”! I’ll be eating pizza today, will you? For more information or to help with the cause, contact TVCC Baseball Head Coach, Aaron Sutton at 208-405-1310 (cell), 541-881-5885 (office), 541-881-5524 (fax), or by email at asutton@tvcc.cc.